Kanpur SP City (east) Surendra Kumar Das committed suicide by consuming poison. Kanpur city (east) SP Surendra Kumar Das died during treatment on Sunday after he allegedly consumed poison. 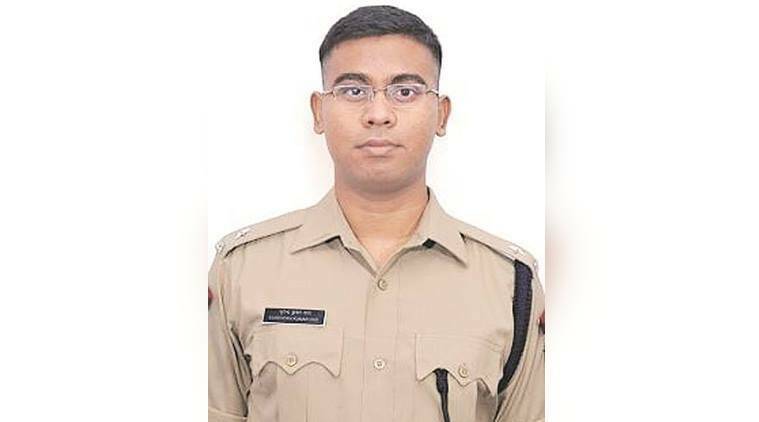 Despite services of Mumbai-based doctors who were flown in by the government to treat him, the 30-year-old IPS officer’s condition declined rapidly on Saturday night. Das, who had taken charge on August 3, was admitted to Regency Hospital in Kanpur on Wednesday after he was found ill at his official residence in Cantonment police station area. According to police, a note suspected to have been written by the officer in his room, said he took the step due to “family issues”, but held no one responsible. According to Kanpur SSP Anant Deo, before losing consciousness, Das had confirmed to doctors that he had consumed poison. According to Regency Hospital Chief Medical Superintendent (CMS) Rajesh Agarwal, Das died at around 20 minutes past noon. On whether police will investigate the death, ADG Kanpur (zone) Avinash Chandra said that action would be taken only if there is a complaint. “We can move only if there is any complaint in the matter. Otherwise there is no reason to do so as the officer himself mentioned in the recovered suicide note that he does not blame anyone else for the step but himself. It was also added that no one should be troubled because of his suicide,” the ADG said. Asked if they knew for sure that the note was written by the officer himself, ADG said that although they do not suspect any foul play, they will send the note for forensic analysis. Cantonment police station house officer Lalit Mani Tripathi had earlier told The Indian Express about the suicide note.”The letter was addressed to his wife Raveena and stated that he was doing this (taking his life) because of issues created in his family every other day. It further stated that he loved her (his wife) a lot. At the end of the letter, it was mentioned that he himself is taking this step and no one else is responsible for his suicide,” he had said.